BRANCHBURG, N.J. -- President Donald Trump says his chief diplomat is "wasting his time" trying to negotiate with North Korea about its nuclear and missile programs. 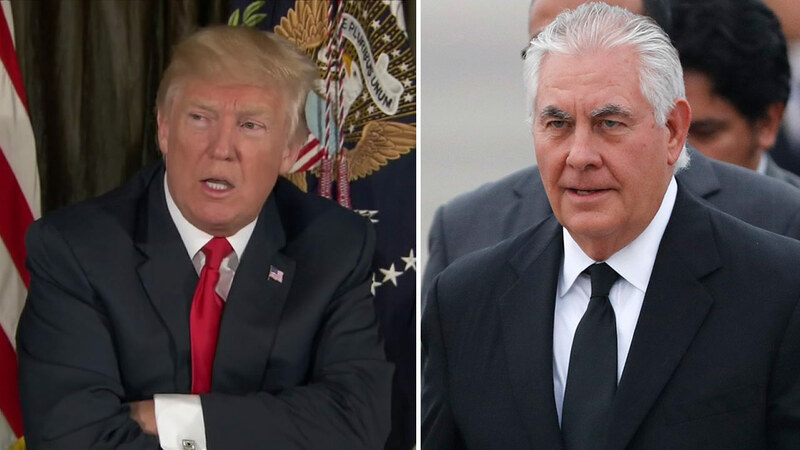 Trump tweets this advice to Secretary of State Rex Tillerson: "Save your energy, Rex, we'll do what has to be done!" The president isn't elaborating, but he told the United Nations last month that if the U.S. is "forced to defend itself or its allies, we will have no choice but to totally destroy North Korea." Tillerson - while in China - said Saturday the U.S. is maintaining direct channels of communications with North Korea and probing the North's willingness to talk. Trump says he's told Tillerson that "he's wasting his time trying to negotiate with Little Rocket Man." That's a reference to leader Kim Jong Un.